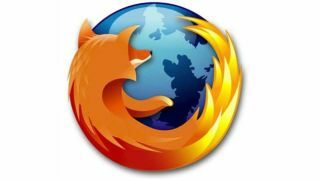 Mozilla's Firefox is the browser of choice for many, but it's been conspicuous by its absence from iOS. Well Mozilla is looking to rectify that with its new Junior browser. It's still a prototype at the moment, but has been in development for some months now. "We wanted to make something entirely new," said Mozilla's Alex Limi in a presentation. "We wanted to look into how we could reinvent the browser for a new form factor." According to Limi, Safari on the iPad is "a miserable experience" (though he would say that), though he does admit it's the best option for browsing on iOS. Until now. Junior is a full-screen experience, with no tabs or address bar. Instead, you get two buttons about a third of the way up the screen - a back arrow to take you back, and on the right a plus symbol. Tap the latter and you'll be able to open a new page, browse recent pages, and bookmarks. It's a bold move ditching tabs, but makes sense making use of the iPad's screen real estate. You can also make separate user accounts for your friends and family. Swipe to the left on the main navigation page and you'll see a user login menu where you'll find options like private browsing. Passwords will mean no one can see what you've been looking at. Junior isn't expected for a while yet, but it certainly looks like it'll stand out from the many clones doing the rounds. What's most interesting is how the team are working to the iPad's strengths - like the big screen - rather than just slapping a desktop version onto it. We'll bring you more as we get it.